The Rock Garden Speaker – Sounds like the perfect Gardener’s Gift for Christmas! With this Rock Garden Speaker, gardeners can now listen to their favourite broadcasts while broadcasting seeds, all year round! 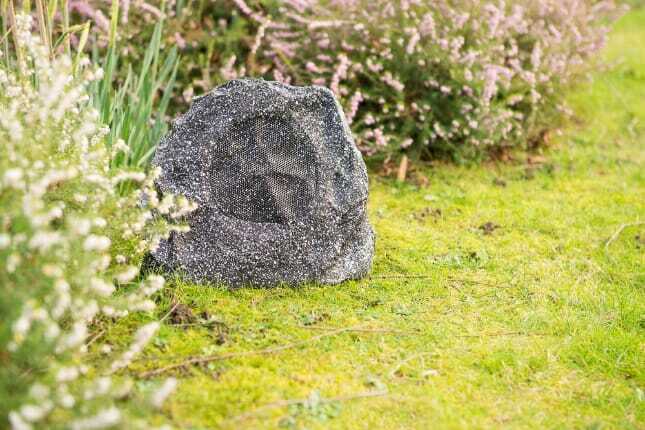 Lithe Audio, the innovative UK AV brand, has come up with the original all-weather Rock Garden Speaker that links via Bluetooth to play your favourite podcasts or soundtracks while working in the garden. Lithe Audio brings ‘instant’ high tech sound to your garden with a simple plug-in all-in-one Bluetooth speaker designed to fit discreetly into your surroundings while delivering exceptional sound quality. The Bluetooth speaker – designed and handmade to look like a genuine rock – delivers a hassle-free soundtrack to your garden with just one tap. The single rock speaker comes with five metres of low voltage power cable and outdoor transformer with plug. It retails at £269.99. The pair of rock speakers – ideal for larger gardens – retail at £349 and come with 10m of additional outdoor speaker cable and weather-proof cable connectors.